I’ve always enjoyed slow cooked anything but what lead me to using a slow cooker for soy milk was because my stove is awful. The element only heats on one side on all of them and it’s hard to cook things at an even temperature. 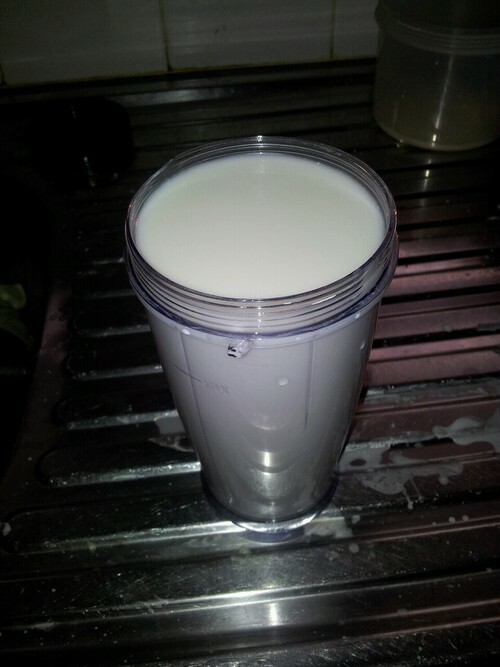 My first milk batch was too raw. Second attempt had an under taste of burn. The bottom slightly burned. And since I can’t get a new oven I had to think of some other way to cook my homemade soy milk. I thought, why not the slow cooker? It wouldn’t over boil and foam wouldn’t rise so why not? First I googled if anyone had and I couldn’t find so much as a blog post so I went with what I knew and the results where beautiful. It made the perfect soy milk. It also doesn’t have a raw bean taste like my other milks had. I put in some vanilla bean this time for flavouring and slow cooked it on high for 2hrs. I’m going to be making my soy milk this way from now on. 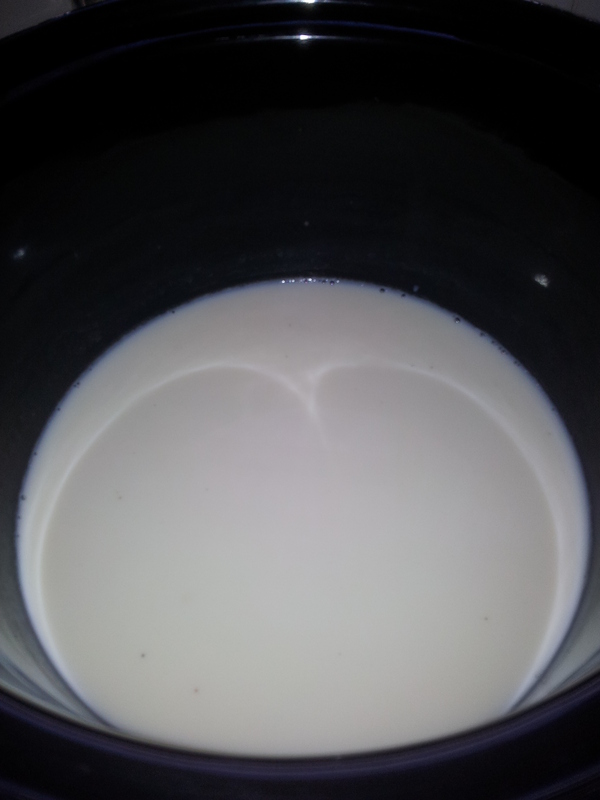 Below a picture of my slow cooking soy milk. 1 cup of hydrated soy beans, 3 and a half cups of filtered water. 1inch vanilla bean.